If Gaudí is the primary association when it comes to Catalan Modernist architecture, Ramon Casas i Carbó marks the milestone in the painting of this period. An heir to a wealthy industrial family, Casas was one of the first to choose art studies in modern Paris instead of classic Rome and was particularly gifted in portraying the everyday life of the emerging local bourgeoisie. 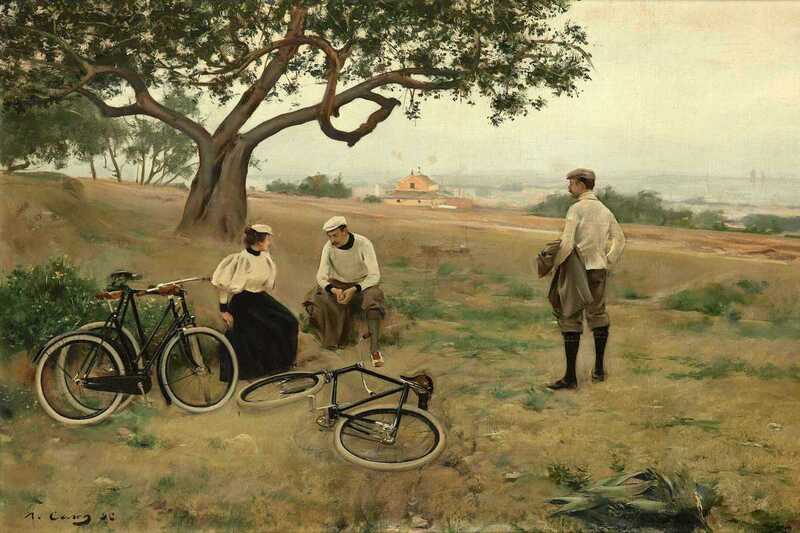 His life and work are now explored in Ramon Casas. The Modern Life, an exhibition marking the 150th anniversary of the painter’s birth. The collection highlights key works of his oeuvre: cheerful oil cityscapes; posters of cultural events at Els Quatre Gats; ads of French cigarettes and liquor; illustrations from the legendary Pél & Ploma magazine; delicate pastel portraits of emancipated young ladies in elegant outfits, such as his wife Júlia. Greater than his drawing talent, though, was his desire to capture authentic life, creating a vital chronicle of his personal Belle Époque.